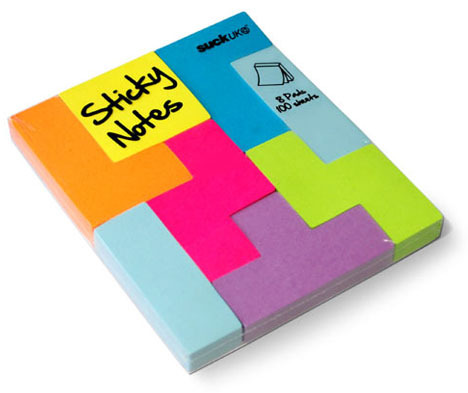 Ever tear off the corner of a sticky-backed piece of note paper because the default size was so much bigger than you needed? Alternatively: ever spend late nights slotting blocks into place on Tetranet? 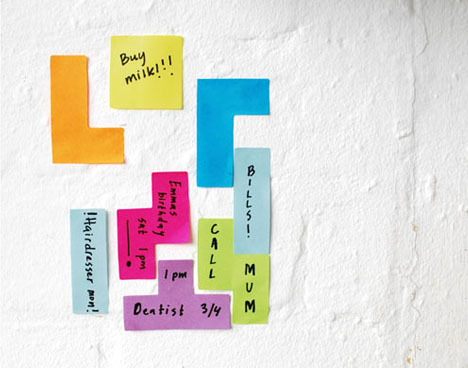 These may be the notes for you. 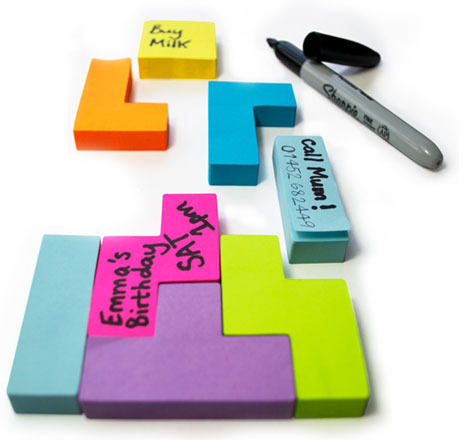 The simple square packs are familiar, but inside that boring box is a fun variety pack of neon yellow, orange, pink, blue, green and purple post-its that can be rearranged in any fashion you desire.